Through the ages silver rings have been worn as status symbol, commitment to love, and to reflect a personal individual style. 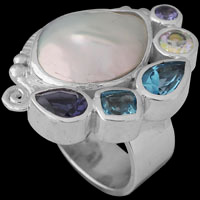 Why not let our sterling silver rings reflect your personal style. 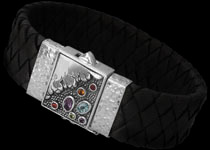 We have an extensive selection of sterling silver bracelets which cater to a variety of different taste. 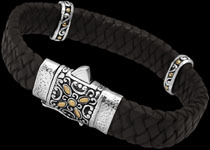 Peruse our men's jewelry selection of finely crafted sterling silver bracelets. 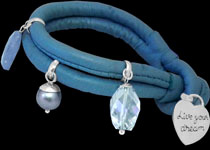 For those that have eclectic taste, our sterling silver cable bracelets are a must. Our sterling silver pendants are not just an accessory but personal statement. Our sterling silver necklaces will always say something about your personal style. Soulmark Pendants are unique pieces of jewelry designed to reflect your personality. All Soulmark Pendants are designed in Australia by a team of artists and jewellers. Our men's cufflinks are unique enough to be worn on their own or accessorized with our designer handcrafted men's sterling silver necklaces and sterling silver bracelets. 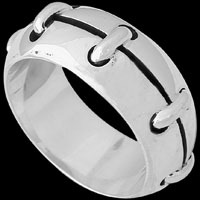 Masculine, contemporary sterling silver rings for the modern man. 'Thumbs Up' on all our sterling silver thumb rings. 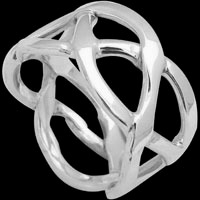 'You spin me right round baby' link a sterling silver spinning ring from Anixi Jewelry. Michael S. Cox silver jewelry can be found throughout Poland in many galleries and art shops. Most of his designs are one of a kind, giving a unique and original feeling to the person wearing them. These bold and modern designs are perfectly blended with a contemporary and enigmatic material 'titanium'. These titanium pieces are precision made and durable. Tungsten carbide is the latest cutting-edge metal to reach the jewelry market. Our tungsten jewelry have a brilliant high polish or a fabulous brush finish. Our Celtic Sterling silver Jewelry are modern styles of Celtic Jewelry but are still very closely linked with the ancient styles of the clans of the medievil centuries, specifically the Druids, and the Celtic clans. Exemplary designs with keen appreciation of line and form. Our stainless steel jewelry collection will make any man look stylish and classy. Our plus size sterling silver jewelry collection features rings in sizes 10-16, sterling silver bracelets size 11-12 inch, sterling silver necklaces to 20.5"-26 inches. Get a stylish look at the right price and the right size. The blue topaz gemstone is said to enhance one's communicative abilities, helping to more easily and clearly express oneself. 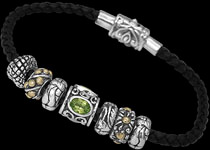 Peridot is August's birthstone and the gem designated for the 16th wedding anniversary. Peridot is said to bring healing and vitality to the whole body, to increase patience, confidence and assertiveness. Strength, endurance, imagination, creativity, courage, patience, compassion. "Merchants stone" - placing citrine in ones cash box has produced more income for the merchant. Self-confidence, healing energy, security, dispels fear & anxieties, promotes physical endurance and mental clarity. "Travellers stone" it is used for protection against the perils of travel. Moonstone is also a talisman of GOOD FORTUNE. Calms emotions, sleep, confidence, balances, sensitivity, intuition and receptivity. "Stone of spirituality and contentment". Intuition, creativity, memory, motivation, courage, meditation and serenity. Used to banish grief, to enhance self-control, to stimulate the power of wise decision making, and to encourage happiness and good fortune. "The stone of Royalty", creative expression, intellect, spiritual awakening, mental clarity, protects against depression, boots immune system. "The stone of gentle love" bringing peace and calm to relationships. It is a rejuvenating agent for both physical body and the emotions. It is an excellent energy for healing emotional "wounds". It promotes personal pride and joy in living. 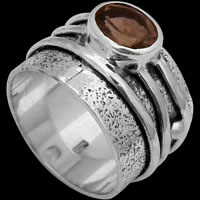 Smoky quartz has been used to regulate creativity in business. It works to diffuse communication deficiencies and to dissolve mental and emotional blockages which limit perception and learning.